Unless otherwise noted, spectators are welcome at any of our outdoor canine competition areas to watch these remarkable dogs demonstrate their skills. Spectators can sit ringside or watch from bleachers and grassy hillsides situated near the competition areas. The 130' x 140' lighted Main Show Field accommodates dog shows and events as well as corporate gatherings and family days. The Main Show Field features one 40' x 80' tented concrete pad and manicured lawn areas equipped with a sprinkler system. A lawn area with parking and another 40' x 80' tented concrete pad is also available near the Main Show Field. RV parking, spectator seating, competition equipment, tables, chairs and picnic tables are also available. Catering can also be arranged. Note: The field is the site of the national finals for the Purina Incredible Dog Challenge™ every year. Email us at [email protected] to book the field. 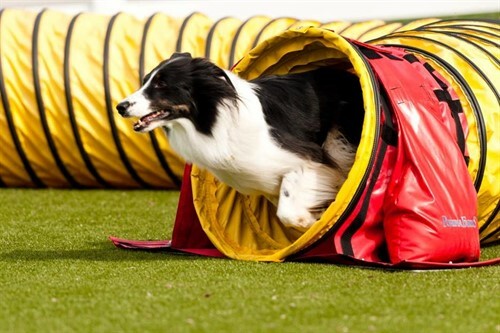 Located near the front of Purina Farms property, across from the Incredible Dog Arena, the 100' x 110' Agility Field features a 22' x 45' covered pavilion, a full set of agility equipment and ring-gating. During National Specialties, the outdoor field can only be used for breed-specific trials. Events unrelated to agility can also be held here. Inquire for more information. The spacious 10-acre Herding and Trial Field makes a superb location for herding competitions, lure coursing or for oval or straight-track whippet races. Developed specifically for field and test competitions, the field is perfect for sanctioned events. 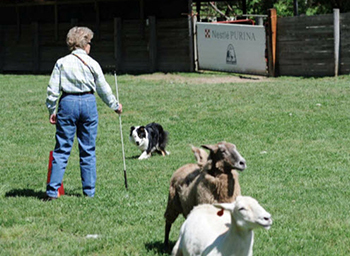 The Herding and Trial Field has three fenced-in areas that can be used for herding. These areas include a lighted 100’ x 200’ A-Course, a completely fenced B-Course of about 10 acres that includes holding pens and a lighted round pen suitable for beginning dogs and instinct testing. Gravel parking is provided, as well as tents and equipment. Purina Farms also supplies more than 150 Katahdin/Barbados Cross sheep that are accustomed to being herded. There is no fee for use of the sheep or the field. Although the ducks are not supplied, the Herding and Trial Field also features a 60' x 100' duck arena. 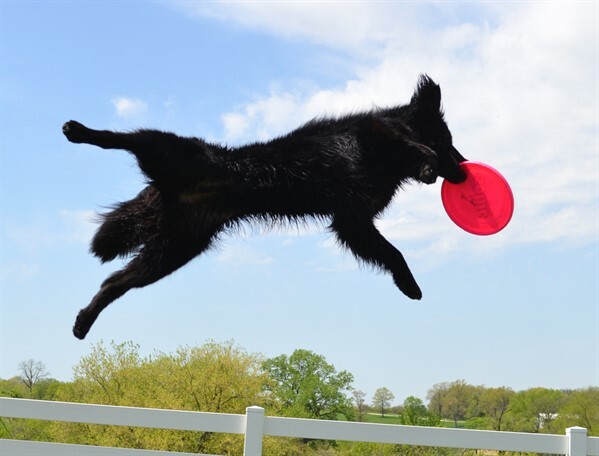 Along the west side of the Purina Event Center, the Working Dog and Flying Disc Competition Field is a 180' x 400' flat grassy area, situated for easy access and use. Eight earthdog dens are available for use at Purina Farms. Two were established by the Missouri Earthdog Club, five by joint effort of the Dachshund Club of St. Louis and Gateway Terrier Association, and one by Gateway Terrier Association. All are in place permanently and ready for use by terrier and dachshund enthusiasts. 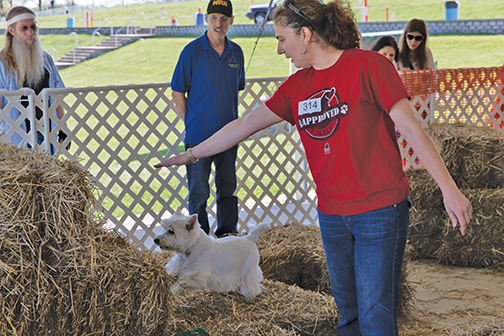 A key to the shed at E-dog is located at the Purina Event Center. In the shed there is a plastic box marked “Common Usage”. In this box you will find dowels, some rat cages for you to use, and layouts of all the dens. Please return any items you use to the box in the shed and be sure to close up the dens as you leave. This fenced system consists of a Novice / Into to Quarry tunnel that backs up to a standard thirty foot tunnel with three ninety degree bends (Open/AKC Junior, AKC Senior) with a false exit. Sliders are in place where the false exit and den connect to the main tunnel. This den is not AKC compliant. The original den at this site, the AKC Senior and MOE stakes den, has been replaced by a much larger den. In the works for over two years, the new design incorporates AKC Junior, Senior and Master designs, giving redundancy to the existing AKC dens. 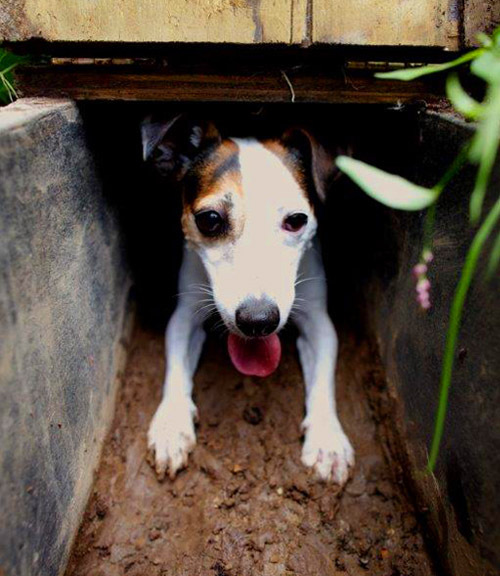 The footprint of the den also allows Missouri Earthdogs to run their Stakes Go To Ground competition at this den. The den was constructed by Nestle Purina of the new, plastic wood composition, providing low maintenance on the den. The yard of the den is 90’ by 100’, making it the largest of all the Purina Farms fenced dens. To accommodate the many levels of AKC competition at this site many sliders are available. Walk up to this Master den may be through the field where Den H, the original Master den, is located or from beneath this den. This den was designed by Shirley La Mear of Gateway Terrier Association and Susan Parsons. This den is located up the hill from the multitasking Den E. It is fenced and consists of the standard 30’ tunnel with three ninety degree turns. It is made of the new plastic wood material. A few short steps up the hill from the AKC Junior earth, this fenced complex is a standard Senior den consisting of thirty feet of tunnel, three ninety degree turns, false den, and false exit. It is also made of the new plastic wood material. Dens F and G were both built and installed in 2013. This beautiful den was rebuilt in January 2014 using the new plastic wood material. It is designed in an H shape to allow two variations of den entrances. The common middle section of the H design houses the baffle. Each leg of the H design houses a false exit, den, and a section into which the constrictor can be dropped. 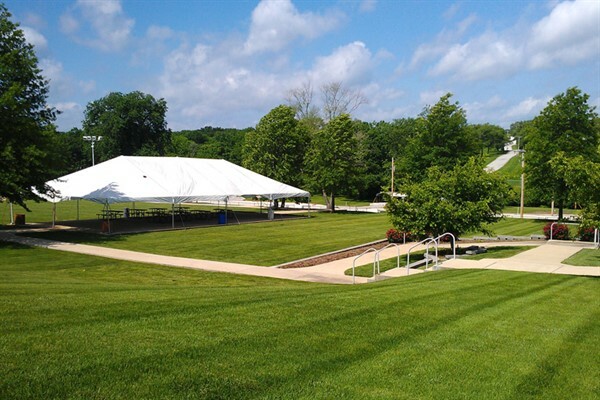 The den is located in a wooded area at the top of a large meadow, which provides an ideal setting for this event. Several options for the walk up to the den are available. Quiet and remote, most test organizers borrow a Gator from Purina to ferry each brace to the walk up starting area. Still needing some finishing touches and plant growth, we’re pleased that the E-dog neighborhood at Purina Farms has steadily improved and enlarged over the years. This was made possible by the cooperation between our three local earthdog clubs and Nestle Purina. Please contact any of the listed area E-dog clubs if you would like find out more about offering an earthdog event for your next show at Purina Farms. The Portable Diving Dog Pool at Purina Farms measures 21’ x 45.5' x 4’ deep with a 40' ramp. The pool is available for titling events, open swim and training sessions upon request. Email [email protected] for details and availability. Now considered one of the fastest growing canine sports, Barn Hunt takes place in the Main Show Field under a 40x80 tent. All gating, matting, ramps, bridges and tubes provided by Purina Farms. All breeds of dogs can compete in this sport, and it’s also a great spectator event. Click HERE to find out more about more about barn hunt.